Provide conveyancers with property searches quickly and economically, with exceptional levels of service led by cutting edge technology. We have three routes to market for our property searches depending on your business model: Brighter Law for solicitors, SpiderCubed for direct to market, and Synthesis for panel managers. Want to become a market leader, or just consolidate your position? 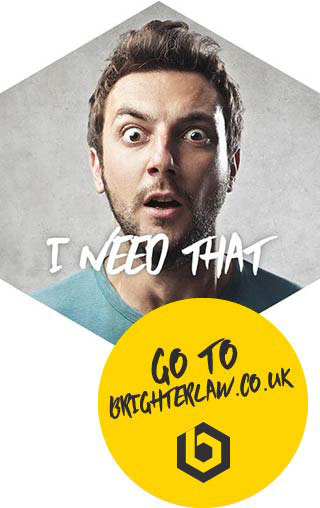 Brighter Law provide you with the people and technology to squeeze every last drop of potential from your business. We all like to be in control. Spider Search Solutions will provide you with everything you need to control your search retail business. Manage product availability, pricing, invoicing, user access and notifications at the click of a button. Could you be a hero? Yes! Brighter Law provide you with a unique proposition: when you join, you’ll not only get your hands on some top tech, but you’ll get your very own Brighter Partner to boot. For more information on how we can make you the hero in your conveyancing practice, take a look at our website. Case management systems are ten a penny in this industry. Other firms will expend time, effort and entire marketing budgets telling you how their service is faster and their system is easier to use. Instead of the same tired clichés, we'd rather tell you what is really different about SpiderCubed. Our smart address search function and boundary mapping tool ensure that information is accurate and property specific. With as little as a street name, we'll give you the Land Registry property boundary and the size of the site. Our search alert tool gives you the confidence that you're providing the customer and the lender with everything they need. Real time notifications and milestone reporting keep you ahead of the curve. You'll know where your searches are and when they'll be back. Cloud based storage saves you valuable server space and your searches are accessible whenever and wherever you need them. PLUS+ When searches don’t cut it, we have a full range of bespoke property-related indemnities. "I have found poweredbypie to be dynamic. They worked with us to deliver their Brighter Law Suite solution on time, with great accuracy. The systems they have built for us have increased our efficiency, allowed us to improve customer service and generate conveyancing quotes to our clients in a faster and a very professional manner. They have proved themselves to be most trustworthy and honourable. I look forward to a long term relationship and I am pleased to recommend them whenever the opportunity arises." Too often the relationship between estate agents and solicitors can feel distant or even disconnected, rather than partners in the same team. Synthesis aims to create a 'whole' from the disparate parts of the conveyancing process. Consistent professional quotes available instantly. Receive a quote within seconds of requesting the transaction from your website, the solicitor, or the client. Set up your fees and watch them roll in. Instruct in confidence because you’ve billed your partners as soon as you refer. Easily control your workflow and case load. Direct your instructions to wherever in your panel the situation demands, at the click of a button. The diary function means you’re able to employ a proactive approach to your clients' transactions and anticipate their needs before they arise. Get the picture you need to make informed business decisions. In-depth online reporting functions alongside a 360 degree view of all aspects of the transaction, from instruction to completion. Used in conjunction with our SpiderCubed system, it offers you a complete conveyancing solution. Giving you clear, simple fees and the tools to communicate pro-actively across the entire transaction. "The service provided by the poweredbypie is extremely efficient and the personal approach and support from the team is second to none. The website and IT solutions are easy to use, ensuring that should any problems arise, they are solved speedily and effectively, guaranteeing the best possible service for our clients. It is refreshing to deal with a company that takes a proactive approach and which regularly seeks and responds positively to feedback from its customers." Martin Levinson. Partner at Tilly Bailey & Irvine.